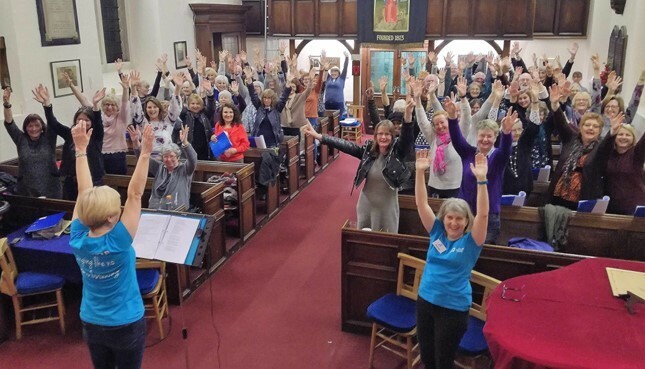 Chesterfield Tuneless Choir burst into song in January 2018. 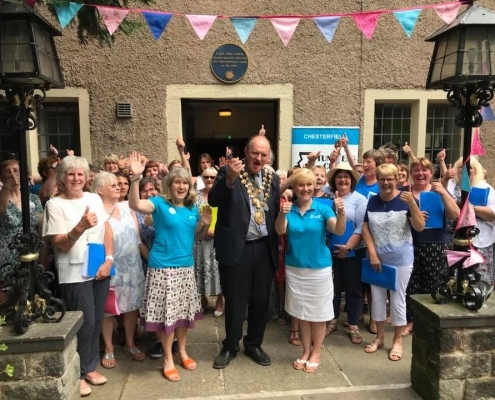 The choir is based at the historic Elder Yard Unitarian Chapel, Elder Way, Chesterfield, S40 1UR but welcomes people of all religions and none, and sings a wide range of popular songs, everything from old crooners to Adele, via classics from the likes of Abba and Queen. The choir was set up by Amanda Higginbotham and is led by Karen Cook. Amanda loves singing but admits she doesn’t have a tuneful voice. Her chorister mother told her she had “a voice like a foghorn” and her family and friends cringe and cover their ears when she exercises her vocal chords. Karen Cook is a music teacher in schools and runs a couple of other singing groups. The choir meets on Wednesday evenings, weekly during Derbyshire school term times with breaks for half term holidays. It starts at 7.45pm and goes on until 9.15pm with a break for drinks and biscuits. Winter term (6 sessions): Jan 9th, 16th, 23rd & 30th (1st birthday); Feb 6th & 13th. Spring term (6 sessions): Mar 6th, 13th, 20th & 27th; Apr 3rd & 10th. Tickets for anyone’s first time at choir are £10, including registration and that first singing session. After that it’s £7 if you “pay as you go” including refreshments, or you can sign up for a term at the equivalent of £5 per session. 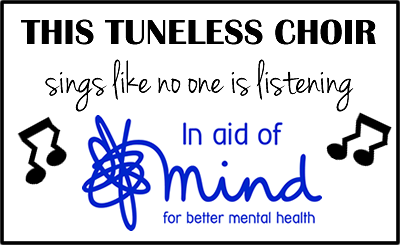 If you have any questions you can contact us on chesterfield@tunelesschoir.com, or call Amanda on 07598 517077. You can also sign up for emails below, and/or follow our Facebook page where you’ll find photos and videos of what we get up to!